The proposed project intends to address the challenges of lack of personal needs for improving the health conditions of the disadvantaged children. Once this is addressed, children will stay in a conducive environment where most of the un hygienic diseases will be reduced hence experiencing better living standards health wise. It is hoped that in case the project is fully funded, children will have enough basic essentials which will eliminate the habit of sharing thus reducing transferable diseases. To have a good and health environment where children can grow well and access all the basic requirements of life for a bright future generation. 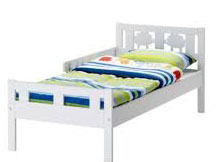 To prevent and eliminate diseases which come as a result of sharing essentials like beddings. To instill certain traits in children like being responsible for their personal belongings. To create awareness in guardians on the full rights of a child regardless of orphanage or vulnerability. This project will basically benefit all CRVO vulnerable children attached to families and will indirectly benefit all guardians and members of their families. After the receipt of the needed funds and as most of the necessary goods are available on the market, 5 guardians and 3 staff members of CRVO went visiting the children in the families, to check on the specific needs. Afterwards the necessary goods were purchases in the shops. Today the purchases were divided amongst the children. Attached you’ll find the pictures showing all what happened today. The beds are ordered at the carpentry workshop and will be ready in about 2 weeks. Then the beds and the mattresses will also be given to the children. This brought even more smiles on their faces today. The day was full of dances. i have received reports from the community that, as they were going home, they went singing and dancing on the streets, which prompted many people to follow them. They were very excited and very thankful to you for the support. Their rejoicing and singing as they went back home from the project, was really right when you see the state they have been living in. CRVO, with the support of Vleugels van Hoop, has created a good home environment by providing the household necessities which has made orphans and other vulnerable children live in a situation where they can prosper hence restoring their lost hope. This project will enable the guardians to care for their property and improve their standards of living. The project is final as all necessary goods are purchased and divided amongst the children in the families. All the beds and the mattresses were distributed amongst the children. So now all the children’s households were equipped with a mattress, bed, mosquito net, suitcase, blanket, bed sheets and sandals. The full budget provided was used for purchasing the needed goods, as proven in previously send factures. There is still need to improve on the food security and ensure that each household as enough food and to ensure that children get proper nutrition which is still a big challenge. CRVO intends to purchase more land that will enable us to grow variety of food stuff for the children.